Beautiful and well cared for solo dress for sale. Made by Maria Ball in 2009, this dress is in excellent condition and really sparkles on stage! Dress features navy sparkle velvet and beautiful cut lace on the sleeves and cape. 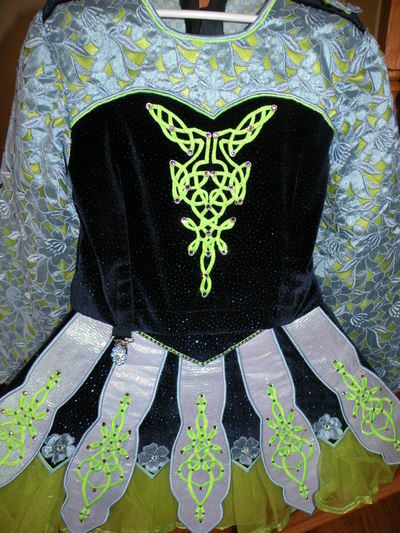 Cape, 2 headbands, kick pants and lime green sparkle tulle tutu are included with the dress.